Provide comfort for the family of Barbara Cripps with a meaningful gesture of sympathy. 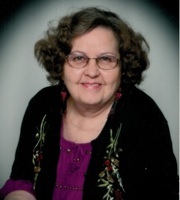 Barbara Jean Cripps, 76, of Dixon Montana, passed away on Friday, February 8th, 2019. She was born November 21st, 1942 in Great Falls to LeRoy and Jean Ellis. She grew up in Lewistown, met and married Donald Blaine Cripps of Guilt Edge, the love of her life. They raised four beautiful daughters, and lived all over Montana and Eugene, Oregon for a time. She loved to sew, kept her girls in style, she painted wonderful pictures, and beaded beautiful earrings. She loved growing flowers, loved her cats and dogs, loved taking pictures, and loved Jesus as well as her church here in Dixon. She was a loving best friend, a loving wife, mother, grandmother, and great grandmother. She was preceded in death by her husband Don Cripps, her parents, LeRoy and Jean Ellis, and grandson Gabriel Forest Swanson. She is survived by her four daughters and families. Tammy and Mike Weaver of Ravalli Christine Cripps of Big Fork, Ranay and Ken Turner of Worcester Massachusetts, and Becky Shaver of Missoula, eight grandchildren, and two great grandchildren, two brothers, and a sister, David Ellis of Highland Village Texas, Linda Ransford of Lander, Wyoming, and Jay Ellis of Las Vegas, Nevada. A memorial service will be held at the Dixon Senior Center on Saturday, February 16th, at 1:00 pm. Pastor Ben Westfaul will be officiating. She will be cremated and taken up to the mountain Ranch later in the summer. To send flowers in memory of Barbara Jean Cripps, please visit our Heartfelt Sympathies Store. Provide comfort for the family of Barbara Jean Cripps by sending flowers. To the family of Barbara Jean Cripps. When anxieties overwhelmed me, you [Jehovah] comforted and soothed me.”​—Ps. 94:19. Our thoughts and prayers goes out to you and your family. My condolences to the family on the loss of your loved one. Losing someone you love is truly difficult and I know Barbara, will be missed. Please know our Heavenly Father holds out promises that can help us with our sorrow. One such promise is that death soon will be done away with forever (Revelation 21:4) and another promise is that "there is going to be a resurrection." (Acts 24:15). I pray these promises from God, who cannot lie, (Titus 1:2) brings you comfort.